This was the 16th Ohio's second day at sea on the Gulf of Mexico, heading from Algiers, Louisiana, to somewhere on the Texas Gulf Coast. The regiment and other troops with them were on a mission to land in Texas to confront the Confederates as well as provide a presence against the French puppet emperor of Mexico, Maximilian, who was in the process of fighting the Mexican national government for control of that country. The ocean was very rough and the storm worsened as the day went on. The norther was blowing a cold wind from the northwest. 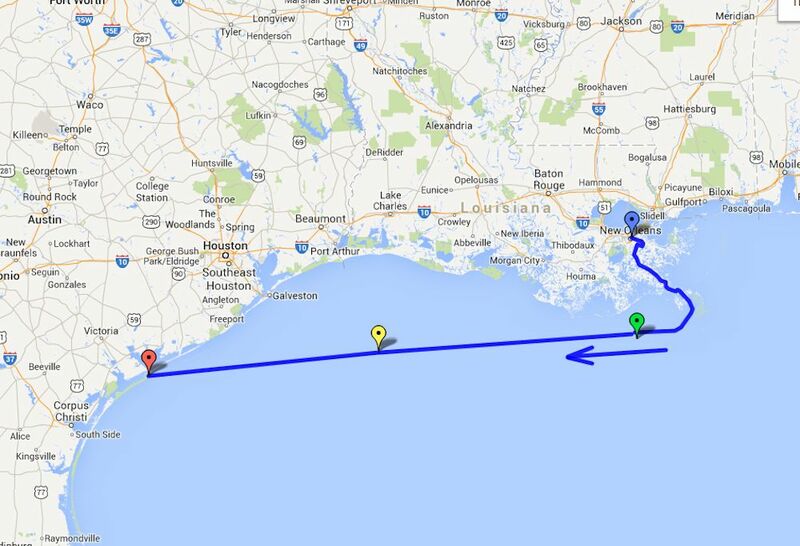 The ship reached the Texas coast off Matagorda Peninsula and set anchor off Decros Point in the evening. It should be noted that on the west side of Pass Cavallo, the waterway providing access through Matagorda Island into Matagorda Bay and the Texas mainland, was Confederate-held Fort Esperanza. The fort had nine large guns, out of the reach of Union gunboats, and which effectively prevented entry into Matagorda Bay. The goal of the troops on board the St. Mary, and others already in the area, was to take control of Fort Esperanza, thus opening up this part of the Texas coast and inland to Union control. 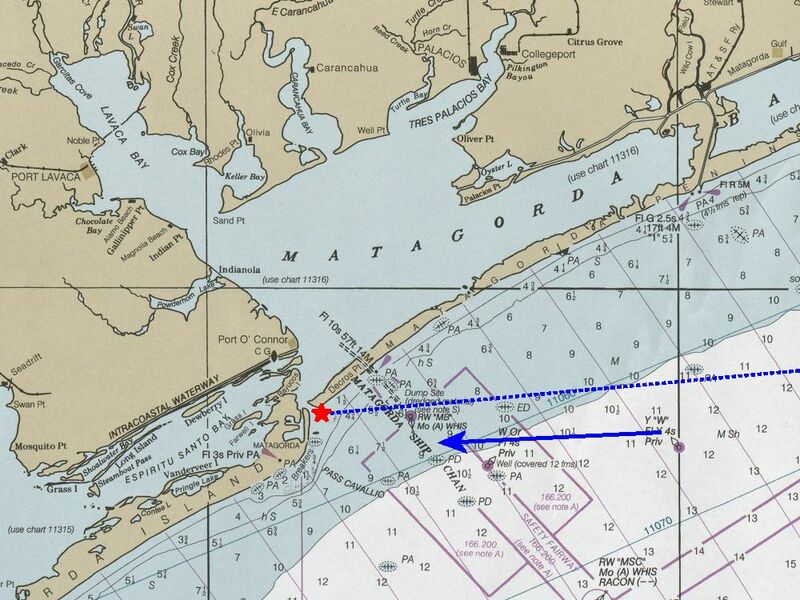 Detailed 1984 map showing the approximate location of the 16th Ohio on board the steamship St. Mary on November 27, 1863, anchored during a huge storm off Decros Point, Matagorda Peninsula, Texas. Note Indianola, Texas to the northwest, a town which the 16th Ohio will visit later during their Texas expedition. Modern day map showing the approximate route of the 16th Ohio on its voyage from Algiers, Louisiana, down the Mississippi River across the Gulf of Mexico, and west to the Texas coast off Matagorda Island. This route is approximated based on general points and observations available from diaries of soldiers on board the St. Mary during this time. Blue pin - Location of the 16th Ohio at Algiers, Louisiana, November 22 to 25, 1863. Green pin - Approximate location of the 16th Ohio at midnight on November 25, 1863, en route to the Texas coast. Yellow pin - Approximate location of the 16th Ohio at midnight on November 26, 1863, en route to the Texas coast. Red pin - Approximate location of the 16th Ohio late on November 27, 1863, anchored off Decros Point, Matagorda Peninsula, Texas, during a storm.